Muscat, Oman: In the presence of His Highness Sayyid Assad bin Tarek Al Saeed, Deputy Prime Minister for Relations & International Affairs and Special Representative of the Sultan, Eagle Hills Muscat, a partnership between Eagle Hills Abu Dhabi and Izz International, today unveiled The Residences at Mandarin Oriental, Muscat. The announcement was made by Mohamed Alabbar, Chairman of Eagle Hills during an event that took place at the Royal Opera House Muscat. 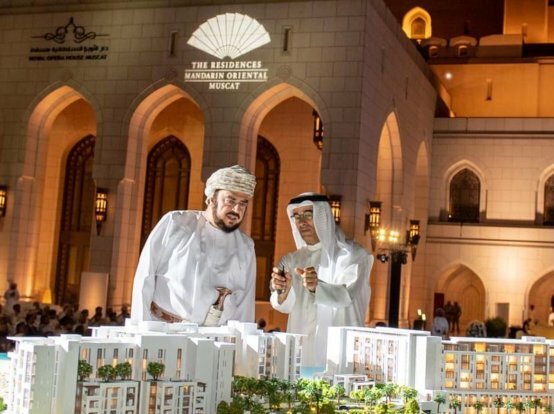 The Residences at Mandarin Oriental, Muscat are designed to bring a new era of luxury living and serve a growing market of residential real estate, delivering a select number of exclusive apartments in the capital. While contemporary in style, the architectural landscape of the project presents inherent characteristics that reflect the spirit of Muscat. Residents will have privileged access to exceptional services and the finest amenities available at Mandarin Oriental, Muscat. They will also benefit from a range of bespoke resident services and enjoy a unique lifestyle, offering the comfort of a private home combined with the legendary service of Mandarin Oriental Hotel Group. “We are delighted to be introducing the Residences by Mandarin Oriental in Muscat. We look forward to bringing the brand’s legendary hospitality to the owners of these prestigious private homes,” said Richard Baker, Chief Relationship Officer for Mandarin Oriental Hotel Group. 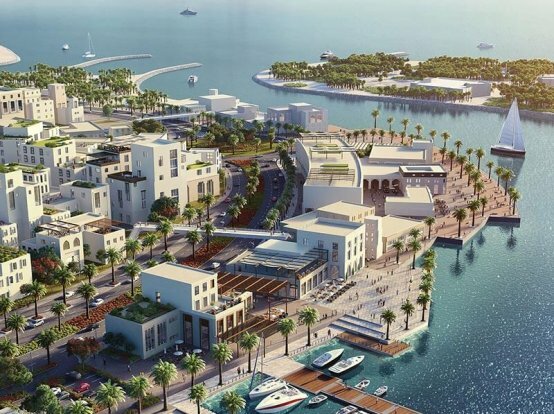 Merely a kilometre away from Royal Opera House Muscat, eight kilometres to Sultan Qaboos Grand Mosque and 15 kms to Muscat International Airport, the project location offers easy access to major attractions and central business areas across Muscat. As a leisure and lifestyle destination, the project offers residents and guests premium amenities including a wide variety of food and beverage outlets and fine dining restaurants, various banqueting and meeting spaces and a ballroom opening to the sea. 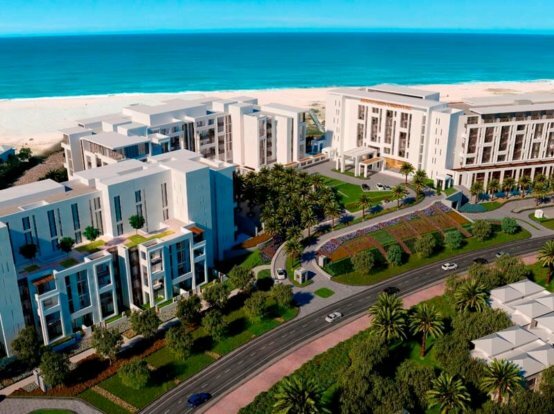 The development also features a state-of-the-art Spa at Mandarin Oriental designed around a Persian Hammam, and an outdoor swimming pool set amid a vast outdoor landscaped area for both kids and adults within reach to the sandy beach. The residential units on offer include a one-, two-, and three-bedroom luxury apartments and two penthouses comprising four bedrooms each. The development will benefit from other facilities such as 24-hour Concierge, maintenance and security, private residents-only access and drop-off area, valet parking, retail outlets and access to an exclusive residents-only lounge. Additional recreational amenities exclusive for residents include a swimming pool with a kids’ pool, a common residents’ lounge, a multi-purpose room, a children’s play room and games room as well as a private residential courtyard. 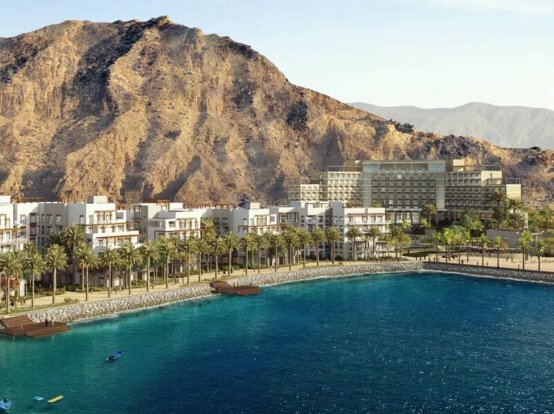 The project represents the ideal destination for residents and tourists seeking easy access to serene views of the Hajar Mountains, tranquil hikes, as well as sea adventures including scuba diving. To register your interest or learn more, please visit www.mo-residencesmuscat.com or call Eagle Hills Muscat on 800 11888 (toll-free), +968 2 469 9444 (international).